When it comes to choosing the right supplements to build muscle, it can often seem a bit complicated as there are so many products to choose from. 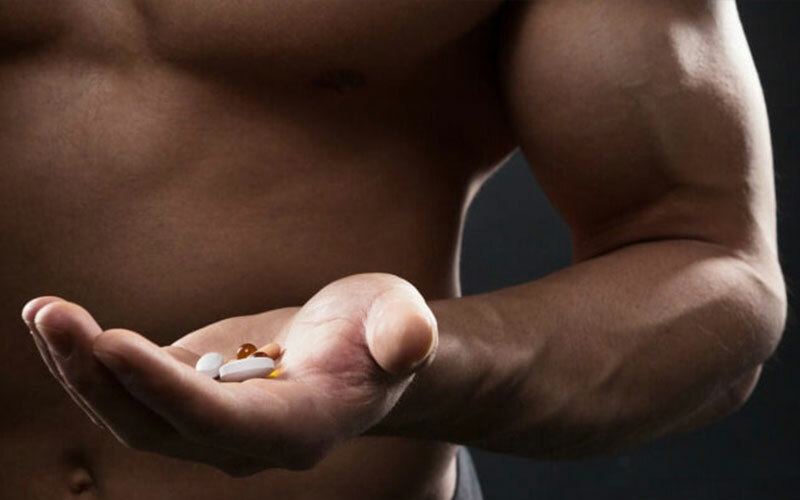 I often see people asking the question “What supplements should I take to build muscle?” so I thought it would be a great idea to write a simple guide on exactly that. When searching for supplements, it’s easy to get distracted by some of the marketing and big promises out there. The key is to stick with the basics that have worked for years. This way you get the results you want and you don’t end up wasting hundreds of dollars on supplements that don’t do what they claim. Also, if you want to start building muscle it’s important to eat a lot of quality food that’s high in protein, and stick to a moderate amount of complex carbohydrates and fats. You can’t go wrong with a good whey protein. A whey protein will help you get in more quality protein throughout the day, which is our goal when aiming to build more muscle. Research shows that a protein intake of around .6 – .8 grams per pound of body weight is adequate in stimulating maximal protein synthesis, however, more protein might be needed in the case of frequent weight training. Research has shown that whey protein is also ideal for post workout consumption as it has a fast digesting rate. This will allow you to recover faster from a strenuous workout and help with muscle soreness a few days after. Whey protein is definitely one of the safest supplements out there, and many people have experienced no side effects. However, depending on your tolerance to lactose it can cause bloating and an upset stomach. You can take whey protein as often as you like, but I would recommend having at least one serving after weight training. Which Whey Protein Should You Buy? Our recommended choice for a good whey protein would be MyProtein Impact Whey Isolate (check out our best whey protein for beginners article) as it is a high-quality product, comes in many flavors and is very light on the digestive system. Creatine is another supplement that has worked for years and will work for years to come. Creatine helps to regenerate a molecule called ATP (Adenosine Triphosphate). This molecule is your bodies main source of energy. Supplementing with creatine increases the available fuel to power ATP, which can increase muscle strength, size, and power output. There are quite a few myths surrounding the side effects of creatine, however, none of them are actually supported by research. At the end of the day, creatine is one of the cheapest, most effective and safest supplements available. You can check out this article on HealthLine for more. How Often Should You Take Creatine? If you read the back of most creatine supplements, they will suggest doing a “loading phase” (where you take 20-25g of creatine (or 0.3g/kg) for 5-7 days), however, this isn’t really necessary and you can get away with taking 5g of creatine post workout with your whey shake. Which Creatine Should You Buy? When it comes to looking for creatine, it’s best to stick with just a plain old monohydrate. I would recommend going with the creatine monohydrate powder from BulkSupplements as they are reasonably priced and have over 10,000 positive reviews on Amazon. Looking for a good energy boost and extra pump in the gym? That’s where a pre-workout comes in. Pre-workouts are awesome, nothing can compare to that “ready to kill the weights” feeling they give you. Most pre-workouts contain ingredients like caffeine, BCAAs, and pump agents such as citrulline malate. Pre-workouts can be a bad idea if you are sensitive to stimulants such as caffeine, as this might cause a jittery feeling or affect your sleeping patterns. The key with pre-workouts is to not overdo it and only take the recommended dose as going beyond that will result in giving your body too much caffeine. Other than that, pre-workouts are seen as relatively safe. How Often Should You Take A Pre-Workout? You should only take a pre-workout when you plan to go to the gym, typically 20-40min before your workout. After a few weeks of pre-workout use, you will want to stop using a pre-workout for about 2-3 weeks. This is called cycling off and helps your body not get used to the high amount of stimulants. Which Pre-workout Should You Buy? I would recommend going for a pre-workout that has optimal dosing so that you ensure you that will get the biggest benefits. A good pre-workout to check out is Pre-JYM. You can’t go wrong sticking the 3 supplements above, they have worked for years and will continue to provide results. Hopefully, this guide helped you decide on what supplements you should take when trying to build muscle! I 100% agree with this, I often see beginners trying to complicate things with too many supplements but if you stick with the basics like you said you can’t go wrong!